Barrow Market Hall is well renowned for having a brilliant variety of stalls and now there’s a fantastic new addition to the market that you simply have to visit. KJ Crafts and Frames create a fabulous range of personalised gifts and frames – perfect for birthdays, anniversaries, new arrivals, Christmas, or just because! Up until recently Kim had been working from home, and selling her wonderful creations online. Having a business to work and sell from had always been an ambition of hers, and after spotting a Facebook post on Barrow Market Hall’s page advertising business opportunities Kim decided to look into it. After meeting with Paul and Jacqui from the market hall team her mind was made up, and she decided to take the plunge, showcasing her beautiful items on Stall 20 in the market. KJ Crafts and Frames has a wonderful array of gifts, perfect for any occasion – and especially with Christmas coming up, provides you with the chance to buy a heart-felt gift for a loved one – something personal, that extra bit special, something from the heart, something unique that you won’t find anywhere else. 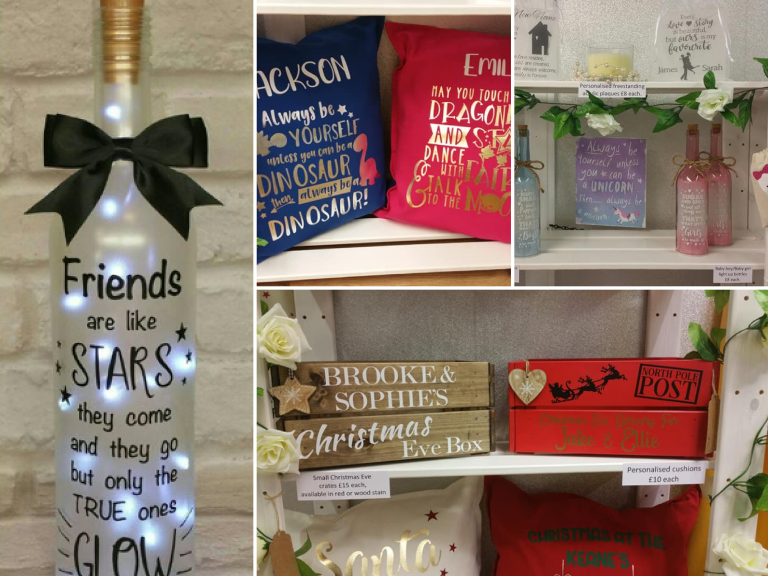 From beautiful personalised Christmas Eve boxes (that can be re-used year after year) and personalised cushions to stunning frames, acrylic plaques, bottles and much, much more – you’re guaranteed to find that special gift. If you have something specific in mind, speak to Kim she’ll create something personal to your requirements, she’s always happy to chat, and there’s always a chocolate on offer too! Taking on a business premises can be scary, but since moving into the market Kim has received plenty of encouragement and support from fellow market traders, making her move into the market a very pleasant experience. One she would definitely recommend to anyone else who’s thinking of taking a stall. Supporting local business is something close to Kim’s heart and she already sources material and stock from other market stall holders, including buying bows and ribbons from Sue Dunn Haberdashery. There are also items on her stall from TK Makes – including their ever popular pebbles. 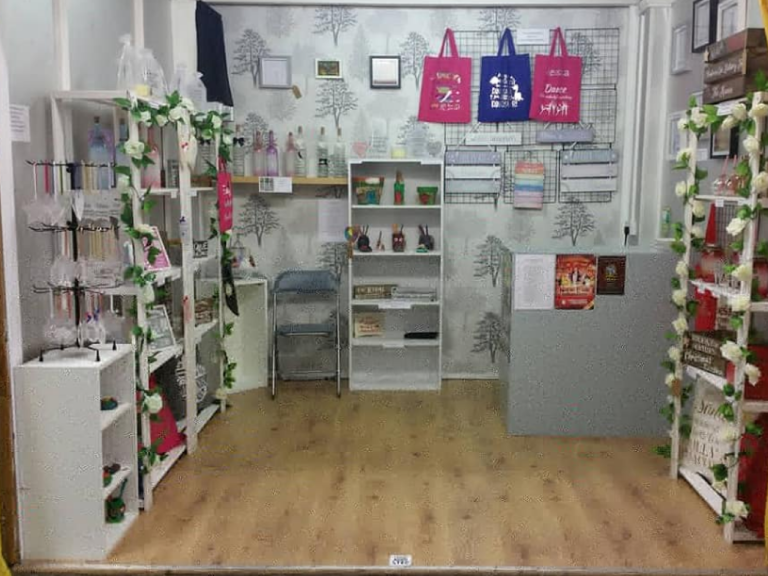 So, the next time you’re in the market, make sure you pop in and see Kim at Stall 20 (the first row of stalls by The Forum entrance to the market). You’ll be amazed her range of stunning creations.